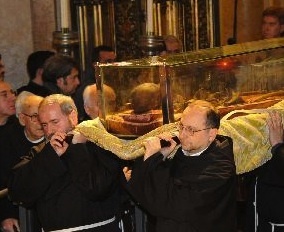 This picture is exposing archbishop Filipe Neri Ferrão of Goa as a worshiper of the dead. 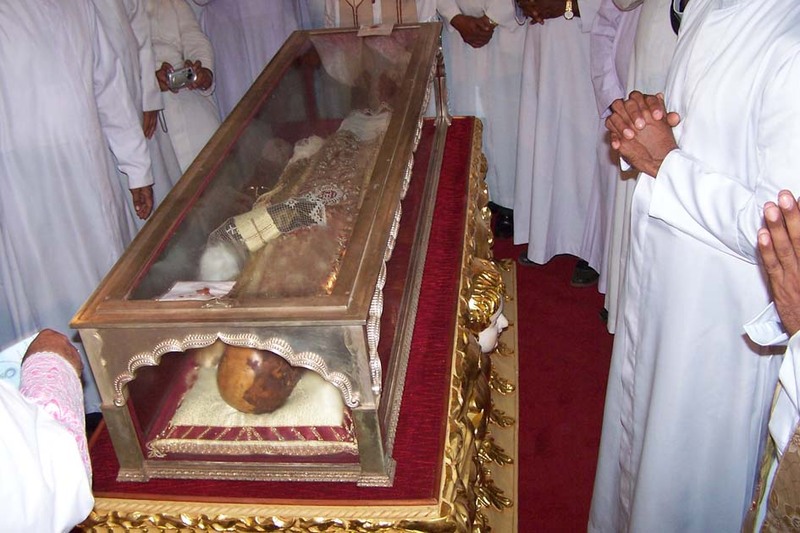 Bishop Filipe Neri Ferrão of Goa mock the Bible by his worship of the dead. (Click on the image to download a larger copy). 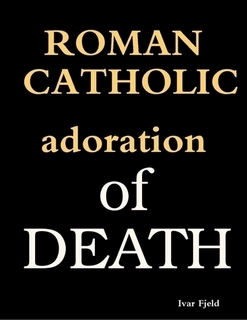 The worship of corpses, bones and skulls are a particular part of the Roman Catholic religion. 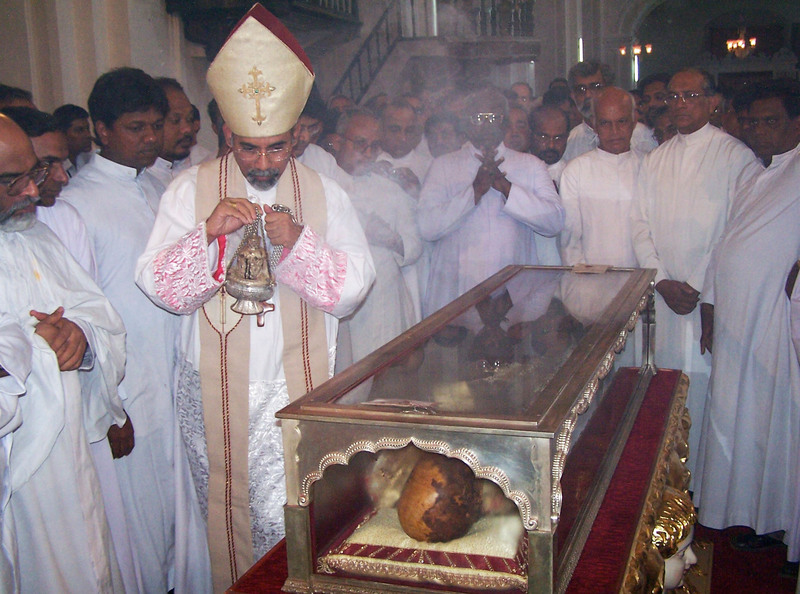 This picture is exposing the present archbishop of Goa, and a couple of dozen of his priests, worshiping a corpse claimed to be of Francis Xavier of Spain. What takes place in Old Goa has nothing to do with Biblical Christianity. (Click on the image to download a larger copy). 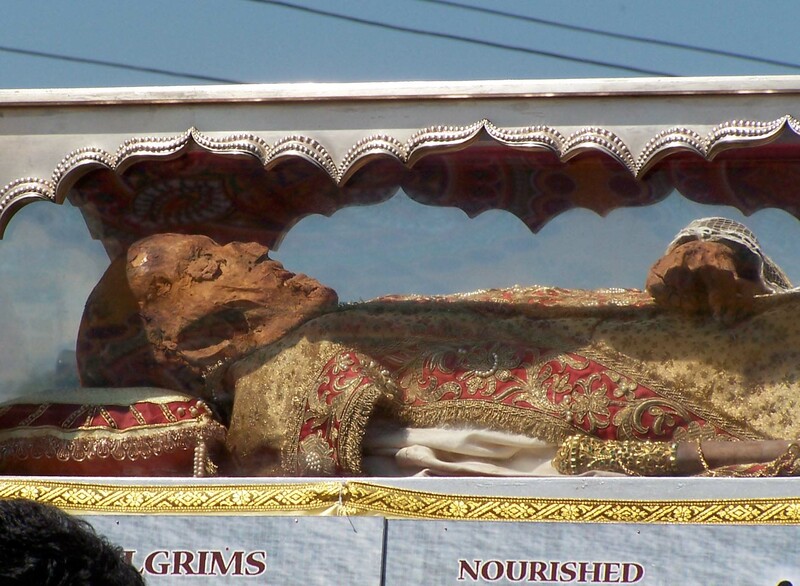 A goan praying to the skeleton, called “holiness” and permitted by the local Roman Catholic archbishop. For all Christians, these three pictures are offensive. Since Jesus the Messiah said that He is the God of the living, not the God of the dead. Jesus said to him, ‘Let the dead bury their own dead, but you go and proclaim the kingdom of God. 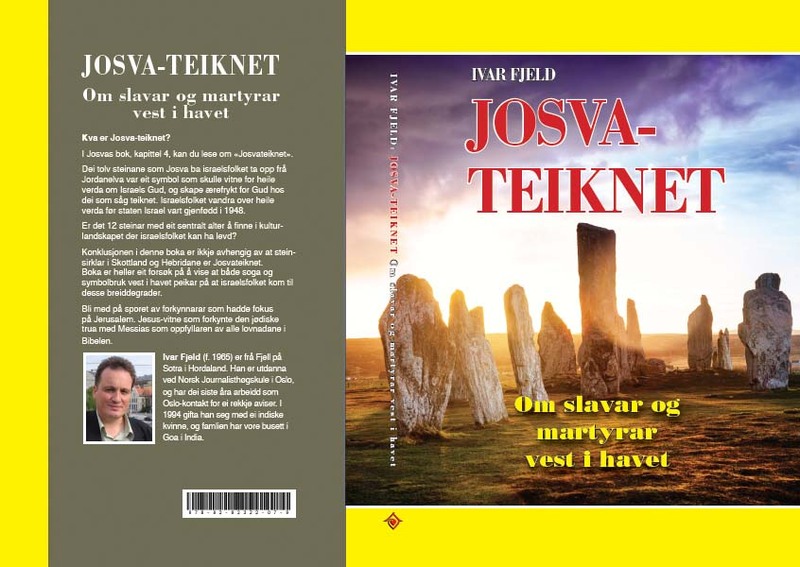 Dear Ivar! 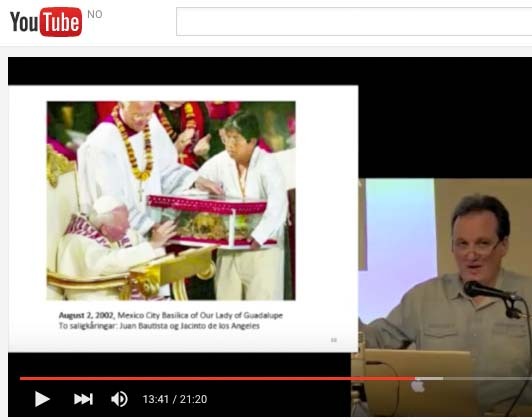 I am just curious what says previously on video shown catholic priest Cosme about all stuff on your site. Is he aware of your opinion? 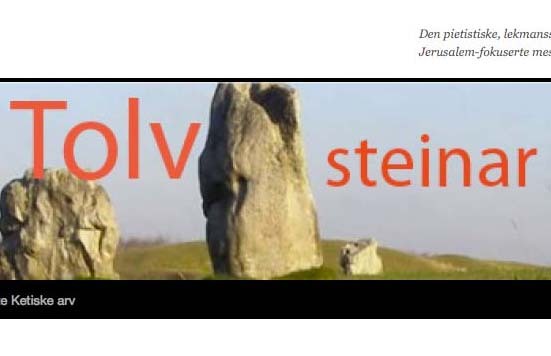 Is it possible to contact you outside this blog regarding a subject which is not covered here, but concerns Norway? Thank God thru His mercy and grace, I was able to get out of this false church! It shudders me to think that years ago I was doing detestable thing myself (i.e. kissing and bowing down to statues, although I can;t remember if I did bow to down or pray to actual bones when I was a child) because the priests taught it and my family was doing it too…smh….this is the problem in RCC, the priests preach (on rare occasions though) on the pulpit that people shouldn’t pray to statues but why do they still keep statues inside their churches and worse, the priests don’t actually, physically stop the many catholics wiping the statues with their hankies or hands and then wiping them on their bodies as if these would cure any illnesses they have? 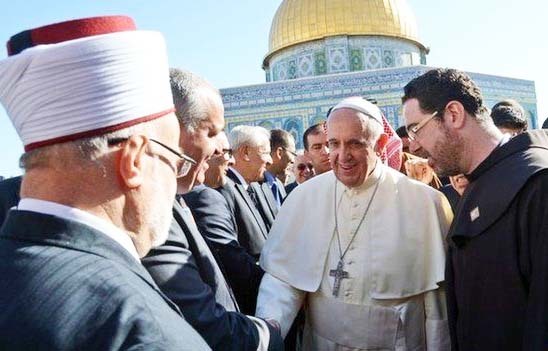 I have never seen any priest come up to a catholic and say “don’t do that, it’s wrong, that’s just a statue” …these priests just turn their face away as if not seeing this abomination happening and go on with their false teachings! Haven’t any catholic noticed this?? didn’t you (catholic reader) even think about this (and other contradictions and inconsistencies of RCC)? where are your eyes?? 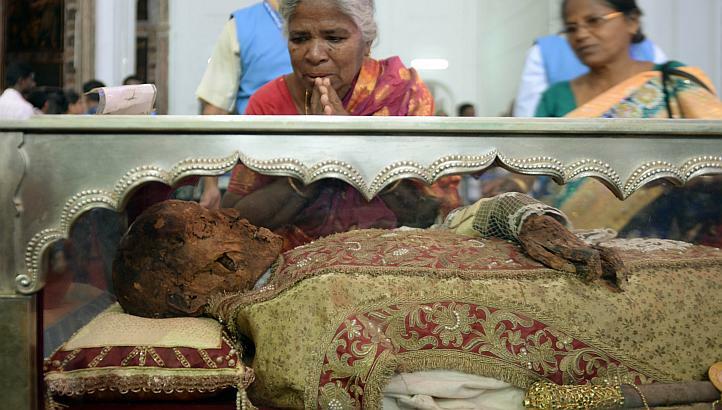 The Archbishop n priests are not worshipping the body of the saint. They are blessing it and are praying for people of the world to have faith in God. This is a miracle which makes our faith in Jesus strong. So instead of critizcising, writing false news please pray and do good. We discovered the amazing fact that Satan has developed, from the earliest ages, a counterfeit, opposition system of religion which was intended to attract worship away from the true God of Heaven. That false system had its sacrificial plan just as God had a plan of sacrifice, but Satan’s pagan worship required the offering up of human beings, often the sons and daughters of the worshipers. 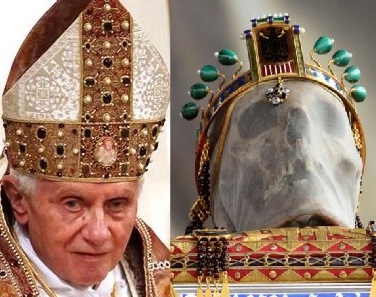 A counterfeit holy day was instituted in honor of the sun god, and this was designed by Satan to rob God of his peculiar authority as the Creator of the universe. Satan, also, tried to compete for the loyalty of the world by setting up a very ancient center of sun worship called Babylon. To understand what Babylon means, let us go back to the days after the flood, when men refused to obey the instruction of the Lord to scatter over the earth. Settling on the plains of Shinar (Genesis 11:4), they said, “Go to, let us build us a city and a tower, whose top may reach unto heaven; and let us make us a name, lest we be scattered abroad upon the face of the whole earth.” They called the tower “Babel, the gate to heaven,” but God called it what it was, “Babel, confusion,” for there the language of the people was confused and they were forced to scatter. This heaven-defying clan of men wanted to have one city, the captial city of the world, one government to rule the world, and one religion to sway the hearts of mankind. It was Satan’s attempt to defy God and His authority. The ring leader in this scheme was one named Nimrod. We read in the Bible about Nimrod, the man who had something to do with the beginning of pagan sun worship. We read about him in Genesis 10:8-10. “And Cush begat Nimrod: he began to be a mighty one in the earth. He was a mighty hunter before the Lord: wherefore it is said, Even as Nimrod the mighty hunter before the Lord. And the beginning of his kingdom was Babel (margin, “Babylon”). 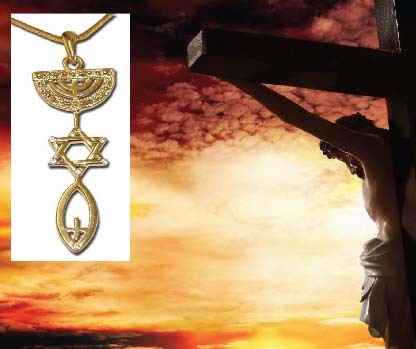 Nimrod, one of the great-grandsons of Noah, is accredited with being the originator of sun worship. Nimrod was a great leader, and he was the first empire builder. He was the founder of Babylon. 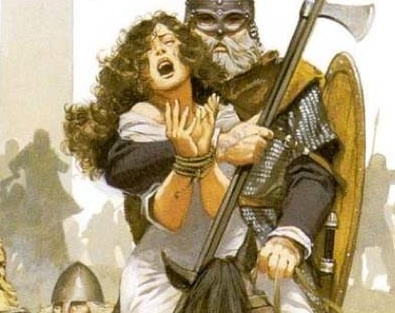 According to history, his wife, Semiramis, was a very great and wicked queen; and through Semiramis we find the devil trying to counterfeit God’s great, wonderful plan of salvation. She was the first deified queen of Babylon, and Nimrod was the first deified king. When Nimrod died, the people mourned. They said that he was a god. Semiramis, in order to elevate her own position, said to the people that she was the queen of heaven and that her spirit was that of the moon, and when she died she would dwell in the moon, even as Nimrod was already in the sun. Every year, when the cold season began, the people believed their sun god was leaving them. They came to learn that his lowest dip on the horizon, about December 21, was followed by his gradual return, until in midsummer he was directly overhead at noonday. It was on the 25th of December that they began to notice this gradual return of the sun god. This day they called the birthday of the sun. Thus, the winter solstice came to be regarded as a time of great importance; and at the festival inaugurated, there was feasting and merriment in honor of the return of the all powerful sun god. It was their belief in the annual journey of their god that Elijah alluded to in his conflict with the priests of Baal, the Syro-Phoenician sun god. (1 Kings 18:27, if “he is a god; either…he is in a journey, or peradventure he sleepeth, and must be awaked”). Tammuz was hailed as the son of the sun. He was idolized and even worshipped. The first letter of his name became, in time, the symbol of sun worship. Human sacrifices to the sun god were offered on this initial letter made of wood, known as the cross “T.” His birthday, December 25, was honored more and more. When Tammuz died, the pagans instituted forty days of weeping for him before the full moon, following the vernal equinox. Think of it, dear friends. Satan worked many years before the conception and birth of the true Messiah, Jesus, to counterfeit through sun worship His miraculous conception and birth. God’s people were constantly coming in contact with paganism, which was nothing more or less than sun worship. They were constantly being tempted to follow the religion of the pagans instead of the Bible. Satan succeeded many times in leading God’s people into sin and pagan sun worship. The prophet was shown greater and still greater abominations. He was shown the people turning their backs on the temple of God and worshipping the sun toward the east. They also worshipped the moon goddess, Semiramis, the so-called queen of heaven. Let me read you what they did, in Jeremiah 7:16-18. “Therefore pray not thou for this people, neither lift up cry nor prayer for them, neither make intercession to me: for I will not hear thee. Seest thou not what they do in the cities of Judah in the streets of Jersualem? The children gather wood, and the fathers kindle the fire, and the women knead their dough, to MAKE CAKES TO THE QUEEN OF HEAVEN, and to pour out drink offerings unto other gods, that they may provoke me to anger.” These cakes were round and on them was cut a cross in honor of the sun god, and they were offered to the queen of heaven. Today they are called hot cross buns. Let us notice now a few striking and outstanding things that took place; and keep in mind that the devil, who is really the author of pagan sun worship, had been working for centuries to get this false worship so implanted in the world that God’s true plan of salvation through Jesus Christ would be insulted and, if possible, be made a failure. 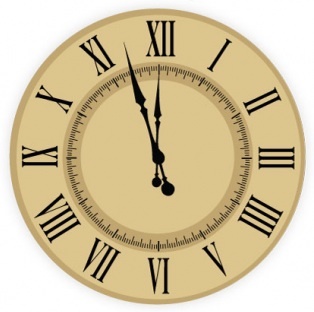 First, the exact date of Christ’s birthday was not known; and so it was suggested, “Why not call it the same date as the birth of Tammuz, which was December 25?” That, too, was the time when the sun had reached its lowest point on the horizon and started back up the heavens. The sun god had come to life, so to speak. Thus, gradually but surely, December 25 came to be known as the birthday of Christ. The papal church finally instituted a special mass on that day, “Christ’s Mass,” and so December 25 became “Christmas.” The yule log burning in the fire, followed by the green tree lighted with candles, all came in from the pagans’ worship, representing Nimrod’s being dead, while his spirit still lived in the sun, and was alive again in Tammuz, his son. Listen, friends, what an insult to our Lord and Saviour, Jesus! Because He arose from the dead (came to life) early Sunday morning, Satan succeeded in transferring the insulting festival to the pagans over in honor of Christ’s resurrection; and so today, we still have the EGGS and RABBITS, and the HOT CROSS BUNS and the early SUNRISE SERVICE, all in honor of Christ’s resurrection. It all came into the church gradually and was blessed by the Catholic church and given to the world. Previous Post Goa-body: Saint or monk?